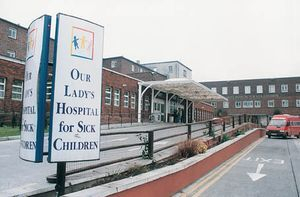 We help to raise funds to care for young people and sick children who are seriously ill.
Our Lady's Children's Hospital, Crumlin is just one of the good causes we donate to - we can do so much more with your help. If you are a land owner let us arrange a charity dig on your land and help raise more funds for a good cause. Please use our contact page to find out more.